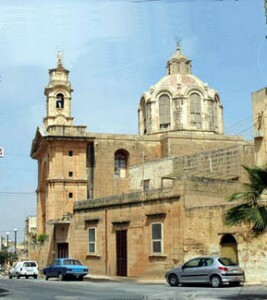 The Nadur‘s monumental church is dedicated to the apostles Saints Peter and Paul. Its foundation stone was laid in December 1760 but the facade and aisles were built at the beginning of the 20th century to a design by the renowned Maltese architect Francesco Saverio Sciortino. 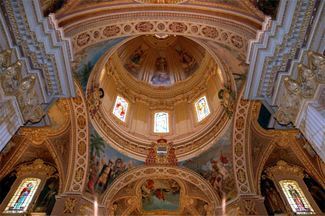 The paintings on the ceiling and in the dome are by the Maltese painter Lazzaro Pisani and depict episodes from the lives of Saints Peter and Paul. 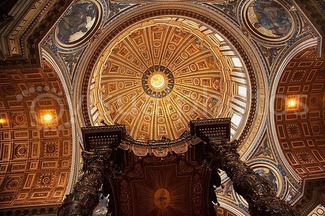 The feast of Saints Peter and Paul, “L-Imnarja”, is celebrated on the 29th of June, which is also a National holiday. Nadur also has its second Patron. This is St. Coronatus and his feast is celebrated on the 2nd Sunday of November. 5.00am ; 6.00am ;7.00am ; 8.30am ; 9.30am ; 10.30am ;11.30am. Up to the dawn of the 20th century there were no processions in Gozo featuring the statues of the Passion of Christ, except in Victoria. 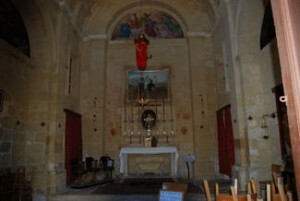 But the liturgy of the Holy Week was always celebrated with due solemnity in the Collegiate Church at Nadur. 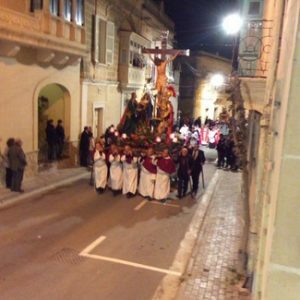 This village – always one of the biggest parishes in Gozo provides us with registers which give us details regarding the Holy Week functions and the three-hour procession. The procession consists of statues representing the journey of Christ to the crucifix with a lot of people dressed up personages from that time. 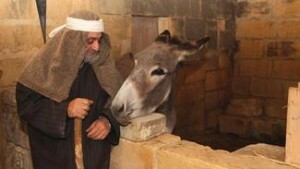 Spare a few moments and visit this Last Supper Exhibition during the last week of lent. Besides the biblical aspect of the exhibition the visitor will also be regaled with the life size figures of Jesus and the apostles. 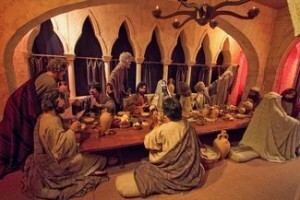 The atmosphere prevailing in this replica of the upper room in Jerusalem will help you relive the mystical moments when our Lord manifested His last supper with the apostles. 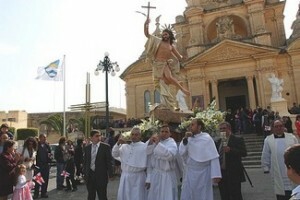 Easter Sunday manifestations are held all over Gozo including Nadur. A statue of the Risen Christ is held by people while the local Mnarja Band plays harmonious music. The feast is one of the oldest feasts celebrated in Malta and Gozo. 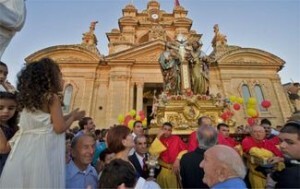 The Feast commemorat es two important Saints in Maltese religious lore, St. Peter and St. Paul. The word luminarja is derived from the Latin word Luminare – to light up. This was the way people manifested their joy in recognition of a particular feast, such lighting being offered by burning bonfires and candles. 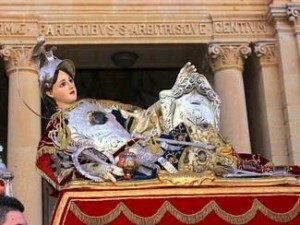 The feast of St. Peter and St. Paul celebrated in Nadur is celebrated in the usual festive manner that is normally held in towns and villages. A firework show is also displayed. A week before the feast of the 29th of June, a fair is organised were people take a lot of vegetation and animals for show. There will be agriculture machinery and other crafts on show for the visitors to enjoy with a live traditional music being played on stage. In Nadur, the feast of St Coronato is also celebrated in November. On feast day, there will be a High Mass followed by a march with the Mnarja Band. In the evening there will be a procession with the statue of the Saint, followed by a march with the Mnarja Band. During the course of the feast days there will also be a variety of firework displays. Many locals gather in the church of St. Peter and St. Paul to start Christmas day with a celebrat ory mass to celebrate Christ’s birthday. 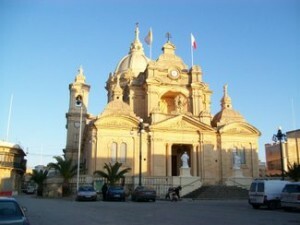 The mass starts at midnight and is party of Maltese religious tradition. During the festive season, the first edition of In Praesepio – Fil-Maxtura, a live Christmas crib, was organised by the Għaqda Ħbieb tal-Presepju fin-Nadur with the participation of various dedicated individuals and participants. The crib is divided in eight sections, each connected to the teachings of Christ and the Bible. The sections feature, in sequence, the prophets, an oven with participants baking bread, the shepherds, a well, a carpentry shop, the crib, the inn and the courtyard of the inn.